CBD Crew has a world first in releasing this long awaited low THC and high CBD strain. While there are rumors of seed varieties originating out of hemp strains, the CBD Therapy is solely derived from recreational high THC cannabis strains and has taken some 4 years to try stabilize with the use of science. A crossing of the legendary Indica Critical Kush crossed with Shanti Baba’s CBD enhanced strain. CBD Med Gom is the result of a long research and development process carried out by Grass-O-Matic and CBD Crew to obtain a high grade medicinal cannabis strain with the advantages of automatic flowering. CBD Medihaze is a sativa dominant high CBD enriched strain and one of the latest of CBD crew new releases for 2013. CBD Medihaze is Super Silver Haze crossed with old time classic of Nevil Haze then bred with the CBD parents for enrichment. CBD Mango Haze is one of the most pleasant tasting plants in CBD-crew line up, as well as one of the new releases for 2013. 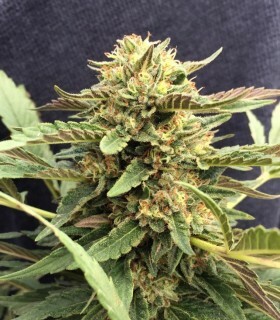 CBD Mango Haze has exceeded the ranges of CBD to THC and we have seen plants ranging from the prerequisite 1:1 ratio to as far as 1:2, THC to CBD. A variety produced in cooperation with the CBD Crew. CBD Kush is a CBD rich variety with an approximate 1:1 ratio of THC:CBD. CBD Skunk Haze® comes from a project between Dutch Passion and CBD Crew. The goal was to achieve an optimum ratio of 1:1 THC:CBD. Big Bud Super Skunk is a phenotipic variety that has been around for years and is renown for its variety of prizes in different cannabis cups. 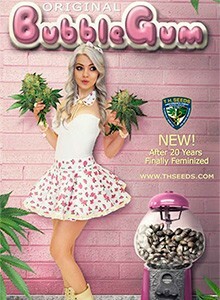 Many users of this strain, consider the Euphoria strain of cannabis seeds to be perfect for producing a plant whose smoke is thought to be high energy, with an inclination for users of this strain to feel more social. This actually makes it great for those who experience social anxiety and is generally considered to be one of the medical cannabis strains. CBD Nordle is a short and strong Christmas tree shape like plant. She produces dense and compact flowering clusters. One of the calmest most indica dominant strains we have, great for pain relief and muscle spasms. Nice tasty Indica with a relaxing effect! A plant variety specifically intended for the medical patient, the 1:1 CBD/THC ratio means therapeutic powers for the user without the psychoactivity. This Sensi Star cross is a legendary plant introduced in 1995 and winner of several awards. This variety, with high CBD content, is predominantly a Indico hybrid, with broad leaves and a short flowering time. No collection would be complete without a cross of OG KUSH, cultivated for the first time on the East coast of the united states, it is one of the most famous varieties in the world with many awards. Medi-Critical users can now enjoy an authentic and tasty high in CBD. This jewel like medicinal variety is based on parental crosses in collaboration with CBD Seeds. CBD Skunk Haze is a tall plant and quite self supporting, and quite easy to grow. It's a good hybrid and it's one of our most popular strains. Flowers tend to be large and airy, a bit more on the sativa side. Won 3rd place Sativa Cup at TreatingYourself Expo 2013, Ontario, Canada, competing with only high THC plants. Entered by a private grower. The Delicious Seeds team has been researching and developing strains with high CBD levels for the last couple of years to meet the needs of our medicinal growers. Perfect combination of these two never merged , by the previous work developed by CBD crew families. Seedsman's CBD Critical Mass has its origin in the union of a Mr Nice Critical Mass and a Remedy. It is a plant, of medium size and of great vigor, that produces numerous branches completely covered with big and heavy buds. CBD Shark, Mr.Nice Shark Shock crossed with a CBD rich variety to make a unique CBD plant for the Shark lovers. Short and strong plant. Fast flowering and a quite good yielding plant, especially if grown a little longer. Great calming effect, perfect for relaxing and recuperating! We´ve crossed our Baby Boom Auto with one of our best CBD strains and the result is truly awesome; This versatile plant is a grower´s delight.